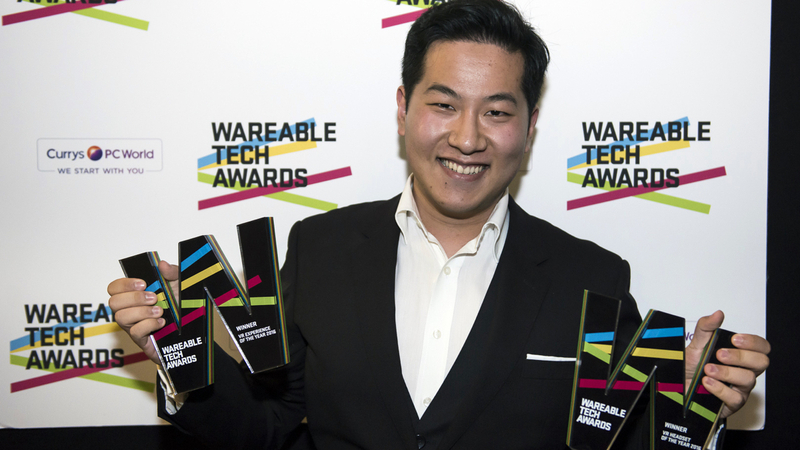 With our first Wareable Tech Awards over it's back to business as usual. We've already given insight into our picks for Wearable of the Year and Fitness Tracker of the Year and now it's time to explain why we picked HTC Vive as our VR Headset of the Year. Virtual reality is still relatively new despite being an old technology. And it's only this year that we're finally playing with the VR headsets in our own homes instead of reading developer blogs for scraps of info. It was a tough decision between the major headsets. Highly Commended went to the PlayStation VR for being the most affordable high-end option for people who already own a PS4 console, and the Oculus Rift won't be complete until the Touch controllers arrive. HTC Vive simply made the most sense for its complete VR experience. Now make no mistake, the HTC Vive is nowhere near perfect - it's still a tad too heavy for many people, expensive at $799 and it's a tricky process to set up if you don't have enough space - but Vive still came out of the gate with what we felt like was truly immersive VR. The room scale tracking, thanks to the lighthouse base stations, has essentially given the Vive a leg up on Rift and PS VR by allowing you to walk around virtual worlds. Both Rift and Sony's headsets started out as sitting or standing experiences and have evolved to include room scale. However Oculus makes you tack on another sensor for $79 and PS VR isn't true room scale since you'd also need two cameras for tracking. Vive, on other hand, lets you literally jump right in, then duck, walk, punch, prod and poke. HTC and Valve also packaged up two handheld controllers in the box giving you even more mobility in-game to explore and 'touch' things in VR. You can say that Sony's done the same with the Move controllers. The delayed Oculus Touch controllers have hurt the initial Rift experience, since we were mostly sitting in a chair using an Xbox One gamepad with the headset. That's not exactly groundbreaking for VR. That brings us to the games. We took issue with many of the games in the Steam catalogue because for the most part they played like demos or mini-games. Thankfully, that's all changed with time. The 831 (and counting) Steam games library is a mixed bag that includes something for everyone, like short demos and longer play-throughs with complete stories. That's part of why The Lab won VR Experience of the Year. It falls into the mini-game category but does it well and makes you want to keep playing. Batman: Arkham VR for the PlayStation VR gets Highly Commended because well, you get to be Batman. Enough said. We were duly impressed with the Oculus Rift's collection of Touch games from its OC3 developer conference but many are obviously still unreleased while others won't be out until next year. We also enjoyed the other options from the PlayStation store for PS VR but there are still titles we're waiting to try out. On the whole, the HTC Vive has given us the most complete and immersive experience with room scale and handheld controllers. HTC Vive may not be the best headset next year but it's a worthy winner for 2016.